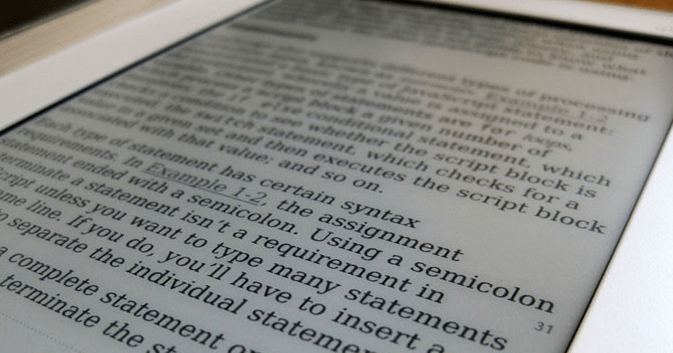 An E-book is a book in electronic form. Often, you can also see this word spelled as – eBook. You can read E-books on a special reader, an e-Reader, as well as on computers, tablets and smartphones. Download: To enjoy E-books, just select one of the many sources available online, selects the title, and start the download. Sometimes you can order e-Books directly from the shops integrated in the E-book reader choosing from a list of bestsellers and categories. Purchase: When downloading E-books from online stores, you may need to pay for them. Most stores offer the usual payment methods, such as direct debit, bank transfer, and credit card. There are many free E-books available online as well, including via online book stores and public libraries. Transfer: The E-books are usually automatically transferred via Wi-Fi onto your ereader. If there is no Wi-Fi available, E-books can be copied via USB cable to the E-book reader. On some models, the transmission can even work via the 3G network. Manage: You can manage your own collection of E-books. Modern E-book readers allow arranging the books by folders and sorting the eBooks. Borrow: You can also borrow E-books, such as your local library online. Lend: You can lend E-books to other people. Return: Have you downloaded a wrong E-book? This is not a problem at Amazon and other online book stores. You can return it within 14 days. Update: If the work was modifies, buyers can download free most the updated version. Delete: If you don’t want a certain E-books any longer you can delete it from the reader. What if you accidentally delete it? This is usually not a problem. You can download the E-book again for free from the shop where you bought it. Print: E-books can be printed out to look like paper books. Read on multiple devices: E-books can be read at the same time on a few different devices, such as an eBook reader, PC, tablet and a phone. It is even possible to synchronize the reading progress between the devices. Rich media: An eBook can be enriched with multimedia elements, i.e. with sounds, pictures and hyperlinks. Minimal to zero cost of production and distribution (Internet). Minimal to zero cost of replication. It is readily available on the device almost immediately after the purchase, you don’t have to go to a store or wait for it to arrive by post. No wear due to virtual existence. Easier and faster to search. Direct communication and comments via the Internet between the publishers, authors, and readers. The zero-cost of production and distribution results in many employees in the publishing and related industries losing their jobs. The ease of reproduction of electronic books creates the risk of copyright violations. Paper books seem to remain the preferred format for many people. Is it just a habit? Is it justified by the bias for the unknown? Is it due to the difficulty of learning new technology, or are there other reasons? What is your opinion?